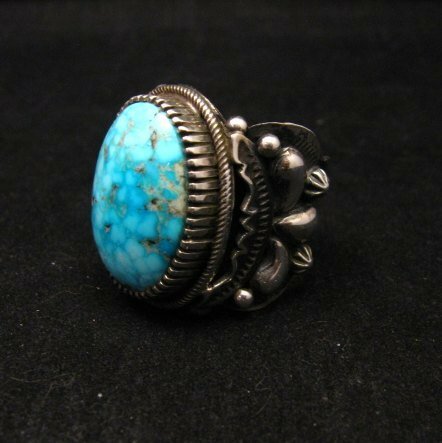 This fabulous Native American Navajo made sterling silver ring features a gorgeous natural Birdseye Kingman turquoise stone set in a sterling silver ring setting by Native American artist, Richard Jim. 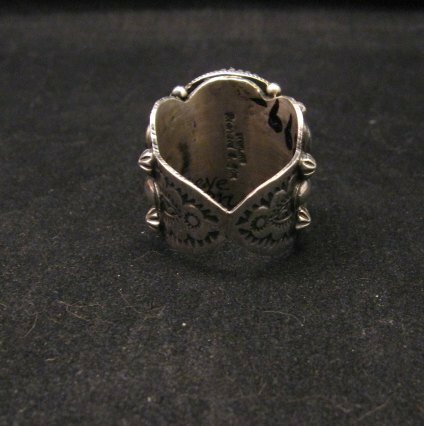 Then the ring is completely covered with applied fancy repousse and silver bead work and deep stampwork with scalloped edges. 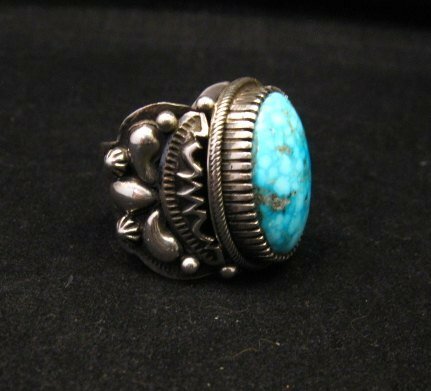 This ring works well for either a man or a woman. 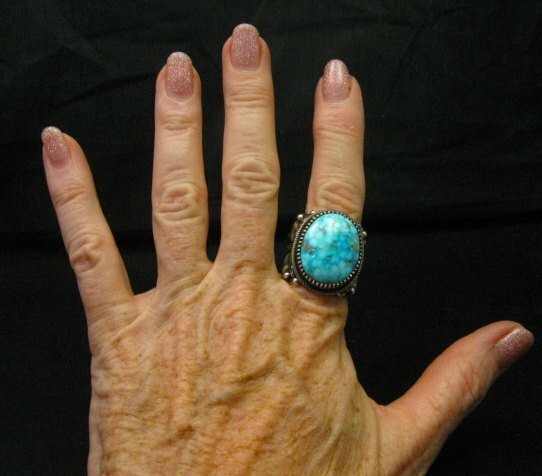 The ring measures 1-inch wide at the front and narrows to 1/4-inch wide at the back. 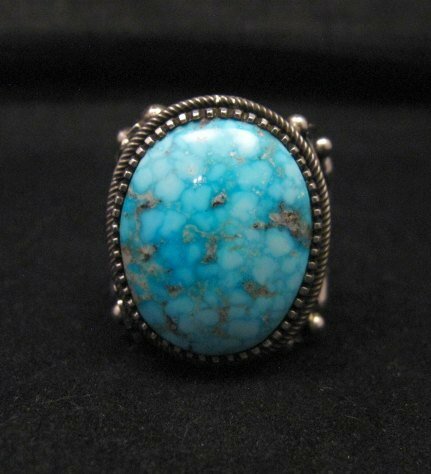 The ring weighs 22 grams and is a very comfortable ring to wear. Because of the wide band, the ring stays put on your finger (no twisting or turning). Size 9-1/2. Brand new in perfect condition. 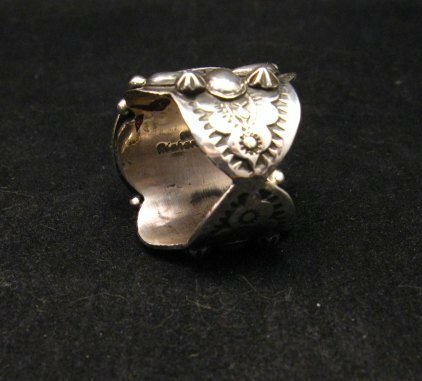 It is stamped sterling and is hallmarked by the artist. Gift box & Authenticity Card included with your purchase.